Tired of swiping right? Hinge is employing machine learning to identify optimal dates for its user. While technological solutions have led to increased efficiency, online dating services have not been able to decrease the time needed to find a suitable match. Online dating users spend on average 12 hours a week online on dating activity . Hinge, for example, found that only 1 in 500 swipes on its platform led to an exchange of phone numbers . If Amazon can recommend products and Netflix can provide movie suggestions, why can’t online dating services harness the power of data to help users find optimal matches? Like Amazon and Netflix, online dating services have a plethora of data at their disposal that can be employed to identify suitable matches. Machine learning has the potential to improve the product offering of online dating services by reducing the time users spend identifying matches and increasing the quality of matches. 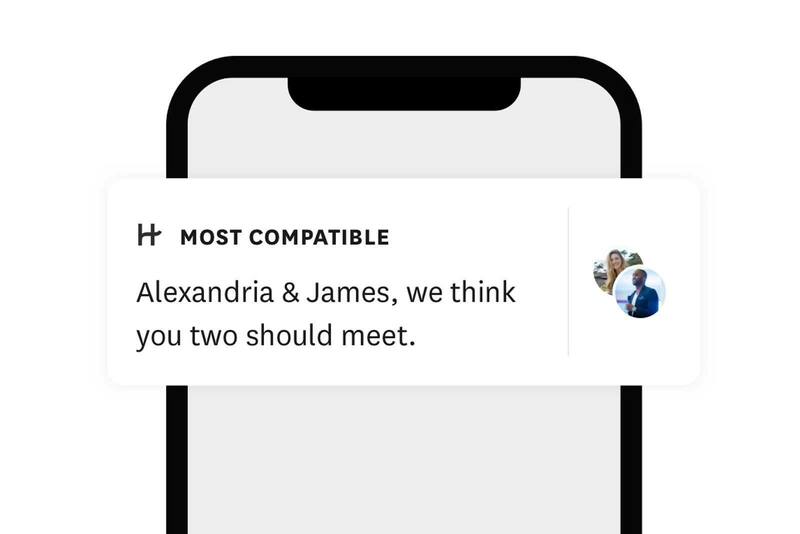 Hinge has released its “Most Compatible” feature which acts as a personal matchmaker, sending users one recommended match per day. The company uses data and machine learning algorithms to identify these “most compatible” matches . How does Hinge know who is a good match for you? It uses collaborative filtering algorithms, which provide recommendations based on shared preferences between users . Collaborative filtering assumes that if you liked person A, then you will like person B because other users that liked A also liked B . Thus, Hinge leverages your individual data and that of other users to predict individual preferences. Studies on the use of collaborative filtering in online dating show that it increases the probability of a match . In the same way, early market tests have shown that the Most Compatible feature makes it 8 times more likely for users to exchange phone numbers . Hinge’s product design is uniquely positioned to make use of machine learning capabilities. Machine learning requires large volumes of data. 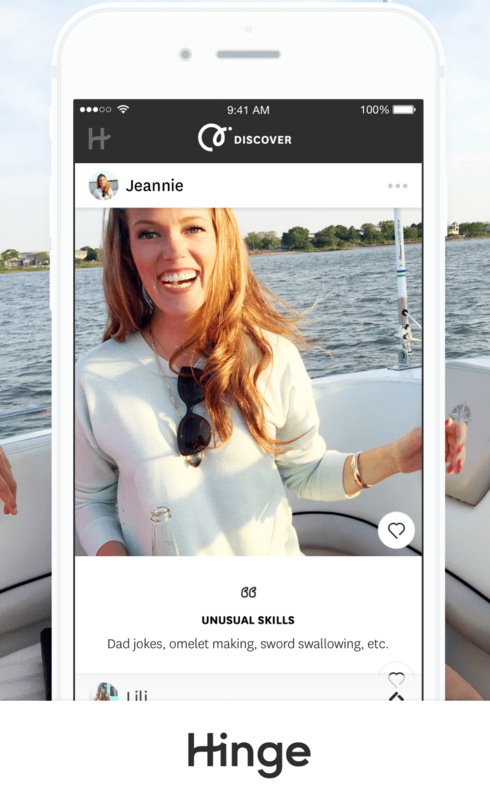 Unlike popular services such as Tinder and Bumble, Hinge users don’t “swipe right” to indicate interest. Instead, they like specific parts of a profile including another user’s pictures, videos, or fun facts. By allowing users to provide specific “likes” as opposed to single swipe, Hinge is accumulating larger volumes of data than its competitors. When a user enrolls on Hinge, he or she must create a profile, which is based on self-reported pictures and information. However, caution should be taken when using self-reported data and machine learning to find dating matches. Prior machine learning studies show that self-reported traits and preferences are poor predictors of initial romantic desire . One possible explanation is that there may exist traits and preferences that predict desirability, but that we are unable to identify them . Research also shows that machine learning provides better matches when it uses data from implicit preferences, as opposed to self-reported preferences . Hinge’s platform identifies implicit preferences through “likes”. However, it also allows users to disclose explicit preferences such as age, height, education, and family plans. Hinge may want to continue using self-disclosed preferences to identify matches for new users, for which it has little data. However, it should seek to rely primarily on implicit preferences. Self-reported data may also be inaccurate. This may be particularly relevant to dating, as individuals have an incentive to misrepresent themselves to attain better matches , . In the future, Hinge may want to use outside data to corroborate self-reported information. For example, if a user describes him or herself as athletic, Hinge could request the individual’s Fitbit data. The effectiveness of Hinge’s match making algorithm relies on the existence of identifiable factors that predict romantic desires. However, these factors may be nonexistent. Our preferences may be shaped by our interactions with others . In this context, should Hinge’s objective be to find the perfect match or to increase the number of personal interactions so that individuals can subsequently define their preferences? Machine learning capabilities can allow us to uncover preferences we were unaware of. However, it can also lead us to uncover undesirable biases in our preferences. By providing us with a match, recommendation algorithms are perpetuating our biases. How can machine learning allow us to identify and eliminate biases in our dating preferences? Hinge. “The Dating Apocalypse”. 2018. The Dating Apocalypse. https://thedatingapocalypse.com/stats/. Mamiit, Aaron. 2018. “Tinder Alternative Hinge Promises The Perfect Match Every 24 Hours With New Feature”. Tech Times. https://www.techtimes.com/articles/232118/20180712/tinder-alternative-hinge-promises-the-perfect-match-every-24-hours-with-new-feature.htm. “How Do Recommendation Engines Work? And What Are The Benefits?”. 2018. Maruti Techlabs. https://www.marutitech.com/recommendation-engine-benefits/. “Hinge’S Newest Feature Claims To Use Machine Learning To Find Your Best Match”. 2018. The Verge. https://www.theverge.com/2018/7/11/17560352/hinge-most-compatible-dating-machine-learning-match-recommendation. “Hinge Employs New Algorithm To Find Your ‘Most Compatible’ Match”. 2018. Techcrunch. https://techcrunch.com/2018/07/11/hinge-employs-new-algorithm-to-find-your-most-compatible-match-for-you/. You raise an interesting question regarding perpetuation of biases, though I would be inclined to suggest that it would be dangerous for the creators of dating apps to attempt to “correct” for “biases” that exist. Who is to define a “bias”? Likewise, who is to say that those writing the algorithms have are not encoding their own belief systems in code, and thus attempting social engineering… One can construct a frivolous example to illustrate this: suppose Bumble’s developers decide more couples should consist of people with a height difference of 1.5 feet and codes this into its app. Is this concerning? Is this acceptable in which all cultures in which Bumble operates? I ask these questions because I believe they point to a major strength in the current approach dating apps take to match generation: the system in which users reveal their preferences through who and what they like in the app makes these apps scalable because they algorithmically adapt to a user’s race, gender, and ethnicity, and this allows them to be used by a wide range of people in a wide range of places. GM, you raise interesting points regarding bias and the role of the developers of dating apps. Is the mission of these companies to deliver users an experience they enjoy and an outcome they want (i.e. a romantic connect and the perfect match), or to serve as a vehicle for social change? One area that is interesting to examine and think about is the role that product differentiation is playing in dating apps. Various apps such as Tinder or Bumble up-sell users to add on additional features to increase the chances of a match. Other services such as the League explicitly target higher net worth individuals. 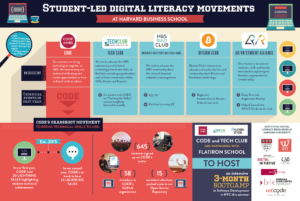 Are these differentiated or “higher end” dating apps leading to situations where individuals with similar educational levels and socio-economic situations end up together? If so, dating apps and the machine learning algorithms that drive them are contributing to increasing levels of of economic stratification. Might be an area for socially conscious app developers to target before they focus on re-programming users biases about what hair color or height they like. Very interesting that the “Most Compatible feature” makes it 8 times more likely for users to exchange phone numbers. 8 times more likely than 1/500? That’s not encouraging odds. I am interested in how these statistic compares to other online dating apps. While dating apps are relatively new, sights like match.com have been around longer. How do you think their machine learning compares to that of the apps? 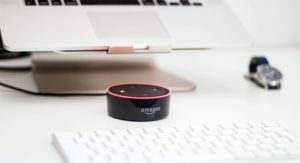 They are harnessing even more data from users so I would be interested if that is helpful in creating successful matches or if the self-reported data given to those websites is biased in the same way you discuss above. Interesting article, I’ve heard how these apps work but had never really delved into the mechanics. I’m not shocked that there is such a low hit rate with regard to the matches / phone number exchanges on the app as the interpersonal nature of the product is pretty benign, whereas in person hitting the accept / reject button is a bit more difficult. What I did find interesting was the parallel that was drawn to Amazon and Netflix. I’m curious if the firms were to swap data scientists if the 1/500 phone number hit rate would improve. In any regard, I really enjoyed reading this – great job! 12 hours a week?? You make an excellent case for why we need to take note of the growing phenomenon of dating apps. Your post raises two intriguing questions and highlights what for me is the greatest challenge that dating apps face – ‘Our preferences may be shaped by our interactions with others’. I would argue that until Hinge can find a way to integrate this truth into their business model, the longevity of their business will always be at risk. To your second point ‘How can machine learning allow us to identify and eliminate biases in our dating preferences?’, I believe the existence of bias presents dating apps with an opportunity rather than a risk. If dating apps can enlighten users of their biases, for example by offering transparent live data analytics on user’s preferences, we can all be that much more aware of how these biases may be affecting our search for a romantic partner. Really enjoyed your piece, thank you for sharing! Great article, makes me understand how the dating apps work. However one limitation with dating apps is that you make a selection (or rejection) based on how one looks and / or what their certain bio traits are. These are good markers to begin with but do we have any data to suggest how other cirtical parameters in chosing a partner are coded – behavorial traits such as being humorous, being understanding etc. which are more important than what’s my hobby while deciding my partner. Also are there ways that one can cross check if self reported facts are true – I would want to belive I am funny even though noone else finds me funny. Interesting read! The one thing I’d be interested in exploring is whether “Most Compatible” is biased based on race, ethnicity, etc. Dating apps always give me more South Asian men – even though I haven’t explicitly put that down as a preference. Also, as we learned from the TOM cases, the machine may pick up on biases from the person teaching it. I would hate for my dating life to be skewed based on someone else’s biases. I think your first question hits the issue right on the head! Defining success is incredibly hard within a romantic / dating context. In my opinion, trying to have a machine learning algorithm or process find you “the one” is a losing battle. As you stated, our preferences are heavily shaped by our interactions with each other. In a dating setting, those first few interactions are so important in shaping our opinion of another person and I don’t think an algorithm can be expected to predict how they will proceed. There are too many factors at play out of either persons’ control. For example, two people grabbing a drink on a first date might encounter bad service at the bar or it might be a rainy day outside making it so the first interaction is not ideal. The algorithm might have connected two people that could have found a connection had they gotten good service at the bar or it was a sunny day but did not have a spark due to outside factors. This is why I believe that machine learning can be extremely useful in helping increase personal connections so that if external circumstances facilitate an initial positive interaction, two people can have a great chance at starting a relationship. Even with exceptional service and the sun out, two people need to be compatible and that is where I believe machine learning can be so valuable! Thank you so much for posting, very interesting subject! Really interesting article! Online dating applications learn from our biases in order to produce matches, and thus I do not see how machine learning could eliminate bias in dating the way that the process is currently structured. I don’t believe that we can ever eliminate bias from the dating process, as we are naturally biased towards certain characteristics (ex. intelligence, good looks) in order to pass these traits on to our future children. However, by broadening the nature of the questions asked and the answers that users are matched on, we can work towards a broader definition of these characteristics, thereby checking our own biases. Interesting article. I think one piece that Hinge may be missing in order to better refine their machine learning capabilities and improve their services is soliciting user feedback based on actual meet-ups. Exchanges of phone numbers is a good proxy for facilitating a strong match, but it isn’t until two people meet up that they can determine whether the match was actually a good one. I think Hinge’s machine learning engine could use the feedback received from actual meet-ups to correlate which combination of attributes or preferences indicate stronger matches and improve the app’s predictive abilities over time. This is an interesting article about online dating and how machine learning can optimize dating apps to help people find more suitable matches. I think that Hinge’s main goal should be to increase the number of suitable matches and leave it to the individual to find their perfect match. There are so many intangible factors that come into play when one choses a partner that I do not think can be captured by machine learning. However, Hinge can play a vital role in helping to initiate that first interaction and foster higher levels of compatibility. The final sentence makes a compelling argument for Hinge to have more data points to enhance algorithm efficiency. In general machine learning is not able to identify biases if the data used to train the machine has biases. In the dating case I think is a lot easier to quantify the biases. Since we have info such as age, college, height, preferences we should be able to know when a person is liking 99% of a certain race, career or height. We can go even further by analyzing what kind of pics are attracting the attention of a person. But i think the easy part is in identifying the biases, many women/men know their biases and call them “my type”. The difficult part is eliminating biases. Hinge can probably focus on one bias at a time. For example do not show anyone that has gone to the top 10 colleges to a person that only likes people that have an ivy league college in their profile. And then observe if the behavior changes and actually the person starts talking to other people not in her previous bias. Then the ultimate job in eliminating has to be done from the person himself. I actually wonder whether Hinge might go as far as to scan the content of the “personal interactions” that do happen over the app (e.g., keywords in messages, speech and reply patterns, etc.) to determine compatibility as another input into the machine learning. This of course would imply that they would want to encourage more connections in-app between people, and it’s debatable whether the best way to achieve this is to encourage their users to provide more data, or to get more users overall. Re: your point about this potentially further feeding people’s biases, I think they could leverage the huge amounts of data they have about people’s liking behavior on Hinge and present that in a clean, summarized way that would make people more aware of their preferences in aggregate and in turn think more deeply about their biases. Definitely a sensitive subject to broach, but could be something that users find valuable and informative. I’m concerned that Hinge’s use of machine learning will lead to less fulfilling relationships and lives. I worry that Hinge will optimize to show users “safe” choices, people who Hinge thinks would like each other. These people probably will like each other, and maybe they will get married. But we often are happiest in relationships with people quite different from us, people who challenge us, people who we would have never thought we would end up with had it not been for some random chain of events. I’m worried that Hinge’s algorithm optimizes efficiency and “good” at the expense of great. This is an interesting read. I agree with your point that machine learning can further perpetuate sub-conscious dating biases that we may have, especially if the inputs into the algorithms are information from us versus more implicit observations from a third party. I agree that Hinge has come up with ways to track these observations by presenting an opportunity for its customers to like a number of attributes on a profile rather than just swiping. Although, I agree that this technique is superior to alternatives in data gathering, I don’t believe it has scratched the surface of what makes an individual attractive to other individuals. I think that an individual’s online history may be more revealing and provide more implicit observations, however, privacy concerns maybe a hindrance, among others. Despite all this, I think predicting human interactions is a very complex process because are as humans are very complex beings. Today my preference my be X, depending on certain events and tomorrow, it may be Y. I guess what needs to be pondered is whether our preferences are fixed and the ability of a machine to make predictions on a variable that is dynamic, where the underlying causes of the dynamism is unattainable. I’ve actually been using Hinge for a few weeks now, and have gotten a bunch of these “most compatible” recommendations. I’ve actually been pretty disappointed in almost all of them, so I’m wondering what’s going on with their algorithm! From what I can tell, the people they are suggesting to me are not like the people whose profiles I’ve been liking, so I am very curious to know what factors they’re basing these recommendations on. I think it’d be fascinating to see what the algorithm thinks is “my type”, and to see if what they think I like differs drastically from what I think I like. This essay also does a great job bringing up the fact that there is a lot of bias in this process — self-reported information is definitely more likely to portray oneself in a positive light, and people may be swiping on what they think they like but is actually not the case. I’m interested to see what the next evolution of these dating apps will be! As I think about why ML is struggling to successfully generate matches, it leads me to the following unfortunate conclusion: maybe people are just too superficial when it comes to dating apps. Maybe at the end of the day, the true key to a successful match is just the degree to which each party find the other attractive. This led me to the question of whether any of these apps are actually using facial recognition technology to identify users’ facial preferences in potential matches. Well, unfortunately but not surprisingly, I did find an app doing just this. It is called Facedate. On Facedate, users upload pictures of faces that user finds attractive. The app then analyzes the faces to determine your facial preferences, and matches you with others with similar facial features. I don’t find this approach particularly tasteful, but it is an interesting business proposition and use case for ML. Thank you for this post. Your research very clearly outlines how machine learning helps the efficacy of Hinge’s matching protocol. I find the details around the volume of data that the Company is capturing highly compelling. If there is anything that we have learned from case discussions around artificial intelligence (i.e. IBM Watson and Aspiring Minds) is that the quality of data absorbed by machine learning algorithms is a determining factor in their ability to make accurate predictions. By allowing users to like specific components of profiles rather than just “swiping right,” Hinge is giving themselves an edge in the category of data quality over competitors such as Tinder or Bumble. However, with quantity being another major component of this equation, the volume of users that prefer to simply “swipe right” may be greater than those in search of a more curated experience. In regards to the question about perpetuating biases, I think that the benefits afforded to us by machine learning algorithms in this setting may actually outweigh the potential risks. For example, a recent article by The Economist, noted that by giving users the opportunity to filter for compatible matches with similar interests, such as religion, platforms like JDate may actually produce longer-lasting relationships . 1. The Economist, “Online Dating Modern Love,” August 18, 2018, [https://www.economist.com/leaders/2018/08/18/modern-love], accessed November 2018.